Legume crops are best known for their protein-rich pulses and leaves. But some legumes are not eaten, they are called “green manure” because they are grown to fix nitrogen and add organic matter to the soil. These gifts from nature offer farmers opportunities to improve their soil, but it is still a challenge to find out which legumes work best under given conditions, as a recent experience suggests. 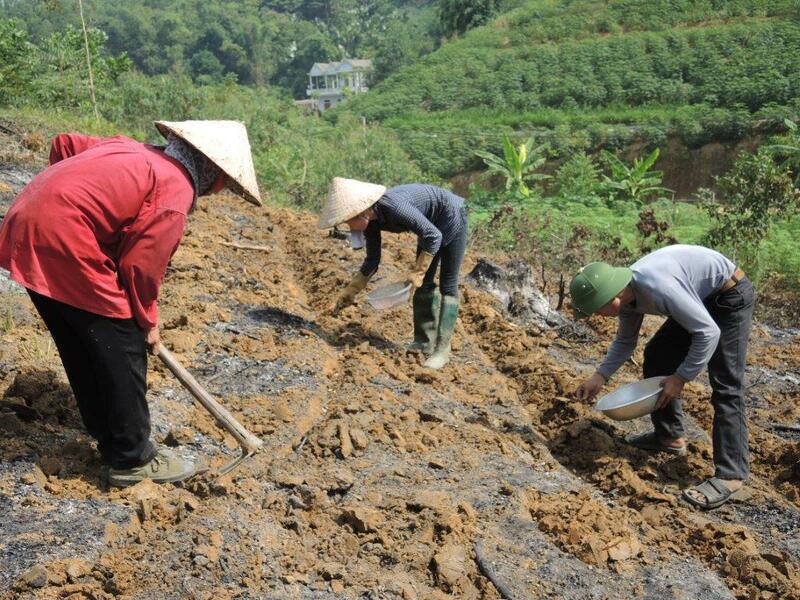 In two Southeast Asian countries that I visited last year, Thailand and Vietnam, farmers growing cassava on hillsides had seen their fertile topsoil washed away by torrential downpours. In some places, the soil had been further impoverished by years of using mineral fertiliser without also enriching the soil with organic matter. Soil erosion control and soil fertility management techniques are the topics of two farmer training videos that Agro-Insight developed with CIAT (The International Center for Tropical Agriculture). We learned that national institutes were trying to get crotolaria seed in farmers’ hands while suggesting that farmers sow the seed at the first rains, and then plough the plants under six weeks later, as a green manure, just before planting the cassava. Some farmers were eager to try out the green manure but couldn’t get enough seed. As one explained: “We only get one lot of crotolaria seed, and we don’t know how to multiply the seed.” Like other legumes, crotolaria seed is fairly easy to grow, but it will mean setting aside small seed plots, and ensuring that the harvested seed is properly stored for the next season. 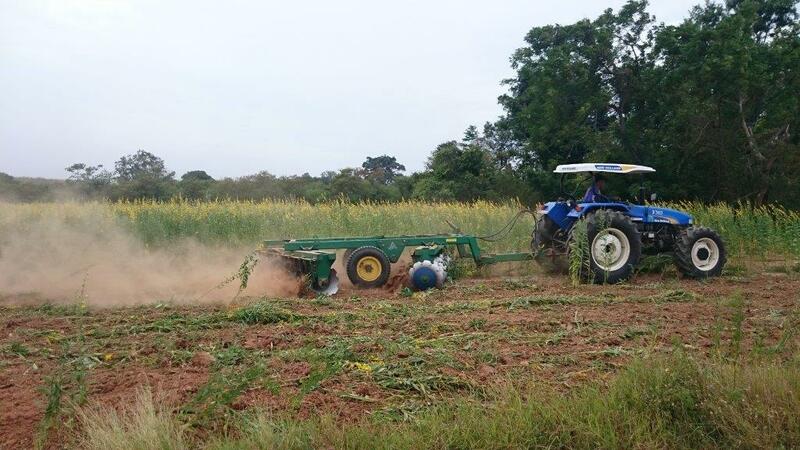 Green manures may improve cassava production, benefitting farmers and cassava buyers, processors and consumers. But this will only work if more farmers know how to multiply and conserve seeds of crotolaria and other green manures. But while green manures may work well under certain conditions, other innovations with legume crops may be an even better bet. Four years ago, I worked with ICRISAT (International Crops Research Institute for the Semi-Arid Tropics) in West Africa on a series of videos to help farmers improve soil fertility and fight striga, a parasitic weed. Cereal-legume intercropping was promoted as one way to improve soil fertility, but farmers struggled to keep their cowpea seed viable. Seed is a living thing, and so inherently delicate, but legume seeds have more oil than most seeds, and can easily become rancid. ICRISAT accepted our suggestion to develop a farmer learning video on storing cowpea seed. Farmers who watched the video were inspired to intercrop cowpeas with cereals as a way to restore soil fertility. This time around in Thailand a similar need came up, and farmers and researchers all saw the importance of improving the soil to boost cassava harvests. 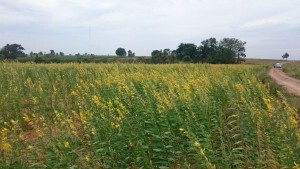 But even though crotolaria looked like a promising green manure crop, farmers who made their living on small plots of land were not in a position to set aside land for producing seed of a green manure crop. 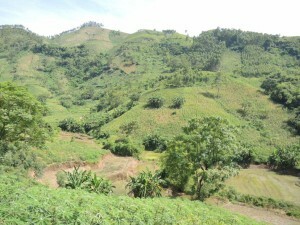 Producing food is a more urgent need and requires all available land. While producing the videos we learned that some farmers grow a legume crop, such as cowpea, peanuts or soya beans in between their cassava. In the end, we decided not to mention crotolaria in our video: it was still an idea at infant stage, needing more effort to be grounded with farmers. Over time, some farmers may turn into crotolaria seed growers, making the green manure a viable option for cassava farmers, but until that time nurturing the idea in a training video without proper access to seed would only create frustration. The success of this innovation will depend on more farmers and scientists putting their heads together, and on then allowing the farmers to get used to crotolaria as a new, green manure crop. Researchers are well intentioned when they promote their ideas, but even good ideas need more ground work than most researchers realize.